It’s been some time now since our last visit to Japan and its time to catch up a bit with unwritten experiences. One of the most enjoyable and enlightening was a visit to frame builders Toei. Tucked away down a back street in a suburb of Tokyo is a very unprepossessing metal framed building clad largely in corrugated iron. We arrived while the three gentlemen who work there were taking a break, two of them snoozing gently, which probably accounted for a slight frostiness in the welcome. My Wife Tomoko is Japanese and she is well acquainted with bicycle terminology, so she was a wonderful translator. After a while they seemed to warm to us, perhaps when they realised that we did know our chain stays from our down tubes, and a healthy discussion ensued. 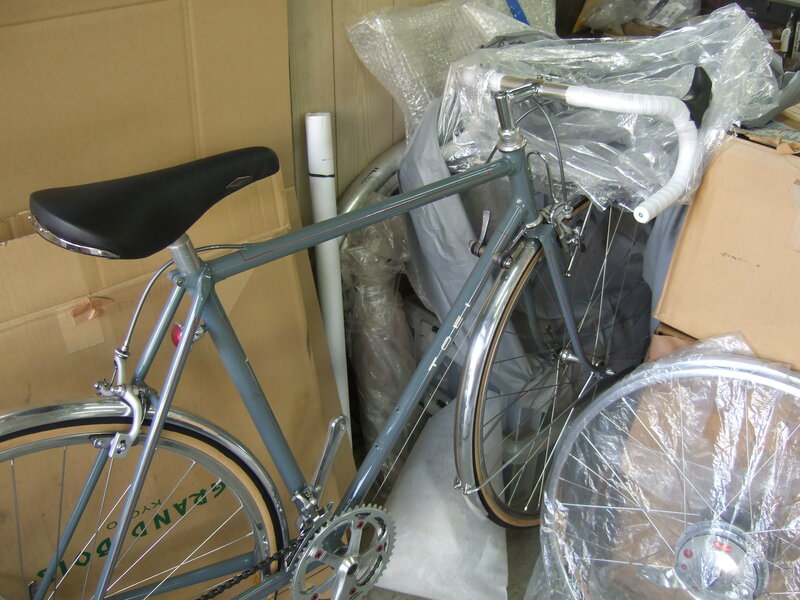 Founded in the 1950’s Toei were clearly influenced by the recently imported designs of René Herse and Alex Singer, and soon they were building beautiful machines with fully integrated components. But Toei have not stood still, and have come up with their own design improvements, for instance their front derailleur, and subtle and intelligent refinements of the constructeurs specialities such as the gear changer and brakes. 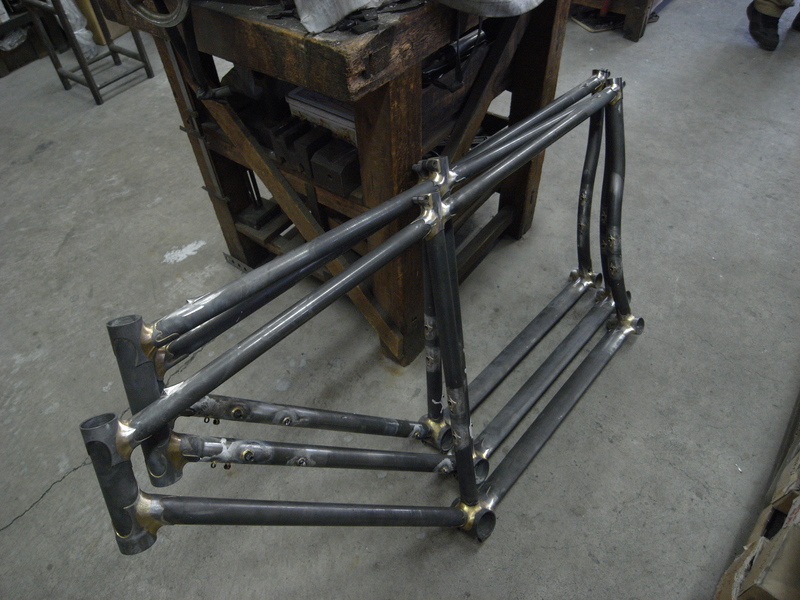 We soon realised that we had arrived at a unique point, as they were in the process of making THREE tandem frames, something which had not happened for a number of years. 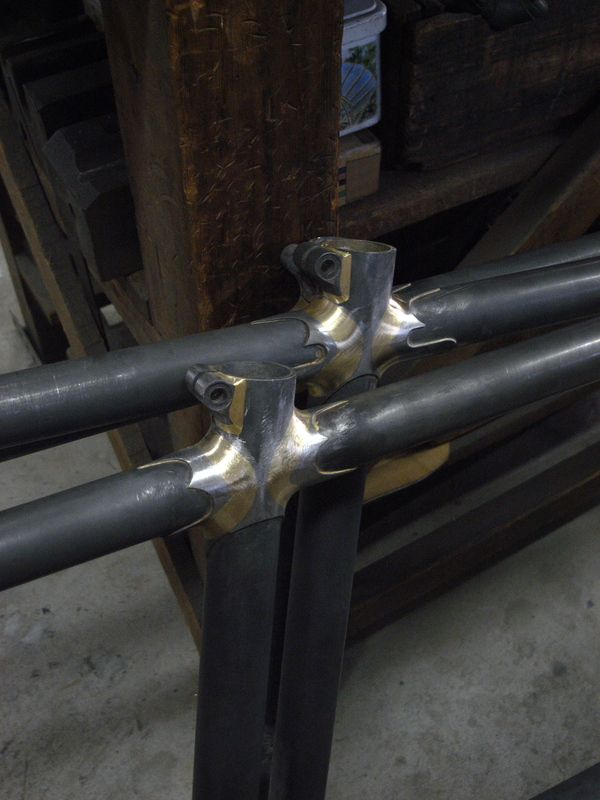 They don’t often get orders for tandems and one of the customers had been waiting for 8 years! Obviously it is easier to work on a group of similar machines, although as you can see from the pictures, the specification, lug work etc.. differs between the three. 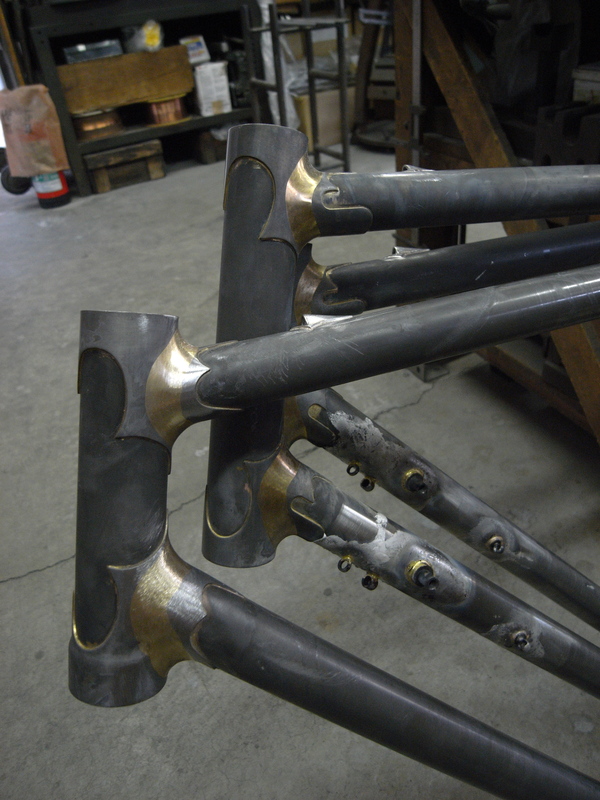 Tandems cost over double the price of a bicycle frame as the lugs have to be fabricated specially, since there are no suitable tandem lug blanks available. You can see this in the detailed photographs below. All their frames are built to order and their highly detailed order sheet requires every component to be specified, down to the last screw and nut. 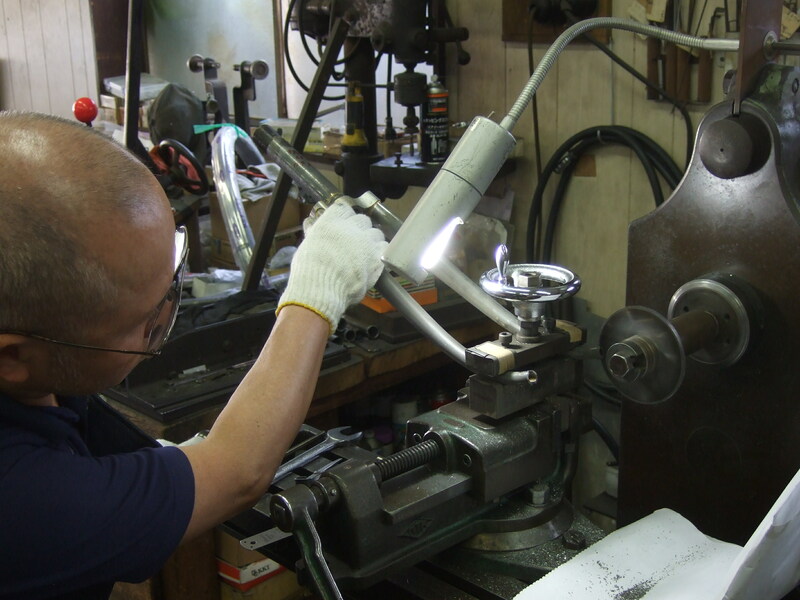 Many Japanese customers like to use vintage components ( very often NOS ) on their bicycles, so Toei are equally at home building a touring bike with a Cyclo gear and Stronglight 49D cranks as they are incorporating a new Shimano group set. 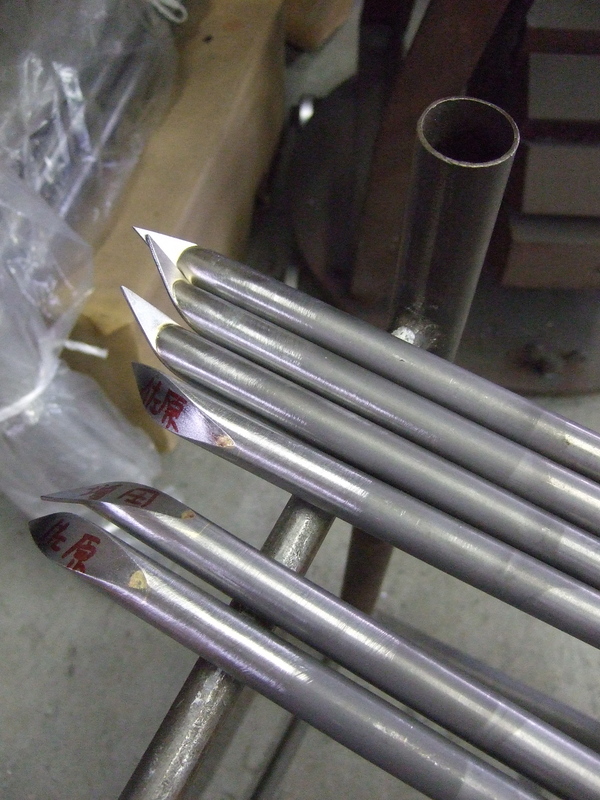 Kaisei tubing is used largely but some customers provide Reynolds 531 tubesets for their build. 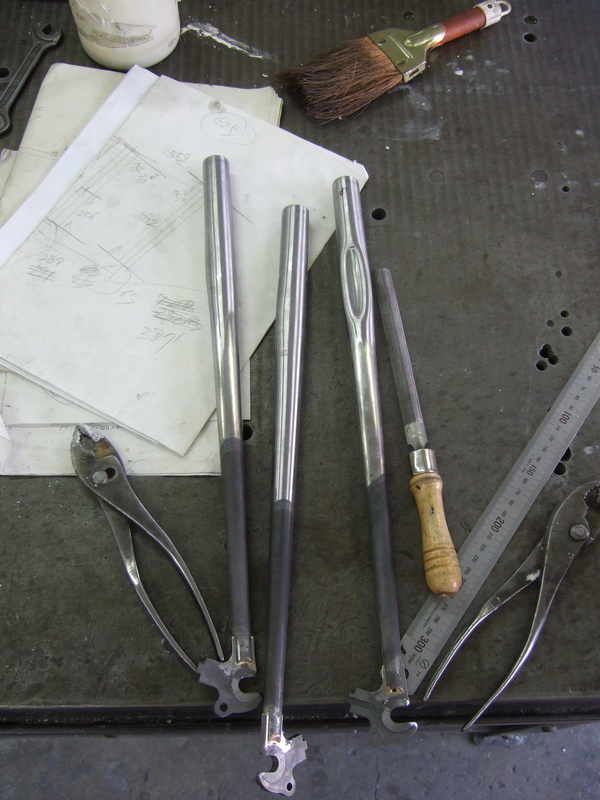 Above all we were struck by the quality and precision of their workmanship. These three great craftsmen are continuing the tradition of the constructeur to the very highest standard, producing machines of beauty, functionality, sophistication and taste. 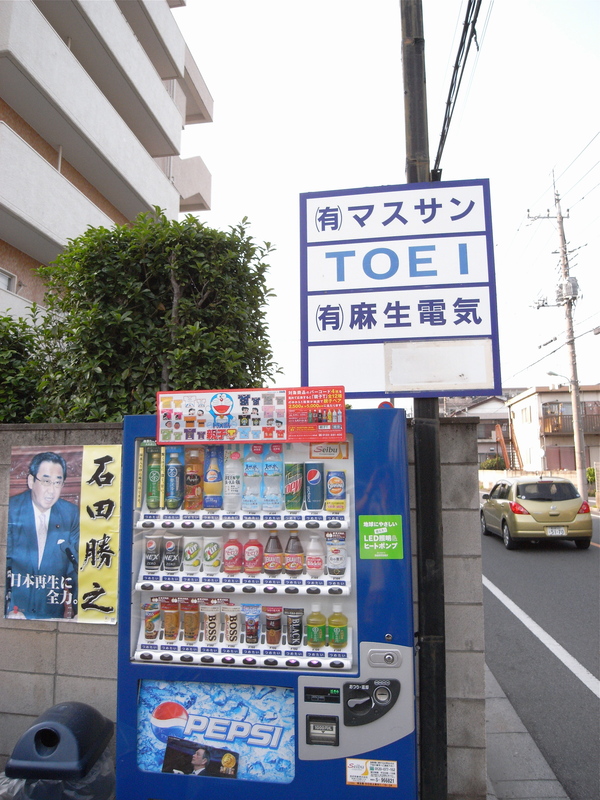 For further information on Toei see the book here.